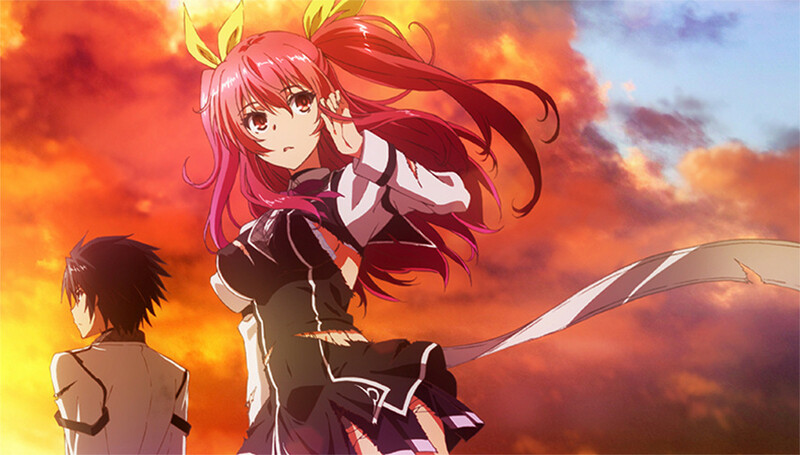 HOUSTON, SEPTEMBER 29, 2015 – Sentai Filmworks is proud to announce its latest acquisition, Chivalry of a Failed Knight, as part of the Fall 2015 anime season lineup. This action fantasy series is adapted from the light novels of original creator Riku Misora and tells the tale of Ikki Kurogane, a failing student at a prestigious school for Magic Knights. Ikki’s status as the “worst one” comes from the fact that he has no magical skills, but that doesn’t stop the number one student in the school, Stella, from challenging him to a duel where the loser becomes the other’s obedient servant for life! Shin Oonuma (Fate/kaleid liner Prisma Illya, WATAMOTE) and Jin Tamamura (Invaders of the Rokujyōma!?) are serving as director and series director, respectively, and the studios SILVER LINK (WATAMOTE, Kokoro Connect, Yurikuma Arashi) and Nexus (Wakaba＊Girl) will be providing animation production. Shogo Yasukawa (Food Wars!) is in charge of the series scripts, with Sei Komatsubara designing the characters. Jin Aketagawa of Magic Capsule is the sound director. Chivalry of a Failed Knight is scheduled for an October 2015 broadcast in Japan and will be available domestically through select digital outlets with a home video release to follow.